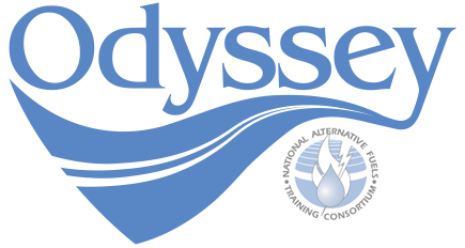 On October 18th, Virginia Clean Cities will be hosting two events as part of the National Alternative Fuels Training Consortium’s biennial Odyssey Day event. Odyssey Day consists of numerous green transportation events held across the nation that promote cleaner choices in transportation. VCC held two very successful events in 2010 and we looking forward to seeing stakeholders and members of the public at our 2012 events in Harrisonburg and Chesapeake. Join us on October 18th 2012 from 3-6 pm at the Turner Pavilion in Downtown Harrisonburg, Virginia for our 2012 Odyssey Day event! We will feature information sessions about alternative fuels and advanced technology, and give you the chance to check out brand new alternative fuel vehicles in our Alternative Fuel Auto Show. Event Highlights: James Madison University (JMU) and Virginia Clean Cities – in partnership with Valley 25x’25, Virginia Wind Energy Collaborative, JMU Alternative Fuel Vehicle Lab, and JMU Institute for Stewardship of the Natural World – hosted Odyssey at JMU. The event brought together industry professionals, students, and the general public to learn about some of the innovative energy-related initiatives, technologies, and programs happening throughout the Shenandoah Valley, the Commonwealth of Virginia, and the nation. The event included a briefing session with presentations from JMU faculty, staff, and students regarding JMU alternative energy initiatives and an alternative fuel vehicle ride-and-drive event. Participants had the opportunity to test and explore several alternative fuel vehicles as well as learn about demonstration and test vehicles produced by JMU students at the university’s Alternative Fuel Vehicle Lab.